The sign industry is estimated to be a $55 billion global market*, and Signarama is the sign industry leader with more than 30 years of experience! Our phenomenal growth in the last three decades has led to widespread recognition as the #1 sign franchise in highly reputable publications such as Entrepreneur Magazine. 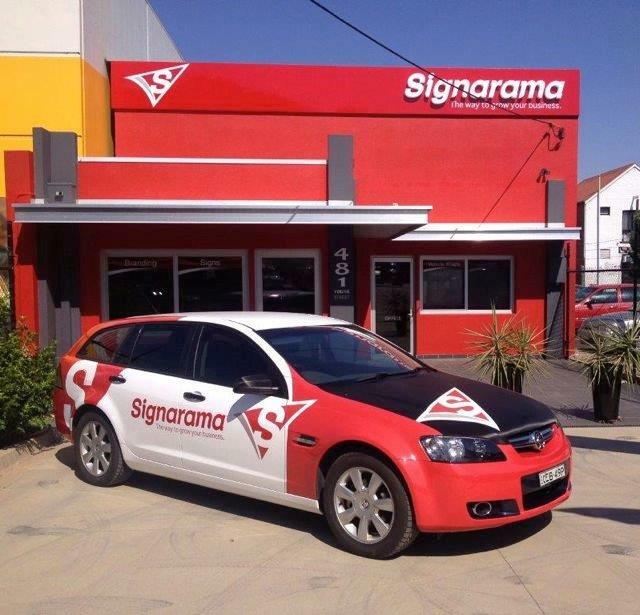 Signarama is more than just a franchise print shop; we're our clients' marketing partner of choice. Our customers count on us for a variety of materials such as banners, tradeshow props, storefront signs, digital displays, vehicle graphics, color wrap film and more. With new technologies like digital printing and digital dynamic signage, Signarama continues to stay on the cutting edge of the industry, paving the way for steady growth and higher profit margins. *2012 Internal Sign Association study findings. Induced output is factored in. Signarama lets you serve an important need in your community. As businesses are increasingly competing for their customers' attention, brand recognition and local advertising has become vitally important. Business owners in the sign industry experience a high level of repeat business. But more than signs and graphics, Signarama provides expertise in messaging, advertising and branding. We have become the brand other businesses turn to, and the scale of our global partnerships allows us to negotiate unparalleled deals with vendors and suppliers. There are many advantages to becoming a Signarama franchisee, and of them is our highly recognized comprehensive training program. We make sure you get off to the right start with all the tools you need to succeed. Our turnkey package not only gets you launched, but also continues into the life of your business. From start to finish, we guide you through the transition of becoming a new business owner. This means the right training and assistance with your purchase. We'll work with you on financing options, site selection, lease negotiation, renovations and more. We help with the installation of fixtures, furniture and equipment. We also set up your computers and give the software systems you need to run your business smoothly and effectively. Every step of the way, you'll work with our experienced staff members who are there to assist in preparing the location best suited for your new business. Top Ranked: #1 in Category and #76 in 2015's "Entrepreneur Franchise 500"